Both the Elephone A5 and the Xiaomi Redmi Note 6 Pro have similar features. Both phones have a similar notch with a bezel-less screen display and they are also equipped with impressive cameras set-up as well. They fall under the budget phone category and in this article, we will be comparing the Elephone A5 with the Xiaomi Redmi Note 6 Pro. The Elephone A5 is built with metal and glass. The phone has a premium and modern body design with triple rear cameras and a dual front-facing camera as well. It’s available in Black and Green colors. Meanwhile, the Xiaomi Redmi Note 6 Pro is looking more classic and elegant. The phone is built with an Aluminum Alloy. It has a smooth panel that houses a dual rear camera while on the front, it also has a dual front-facing camera. Both phones are equipped with a rear-mounted fingerprint scanner for security. The Xioami Redmi Note 6 Pro is available in Gold, Blue, Black, and Rose-Gold colors. 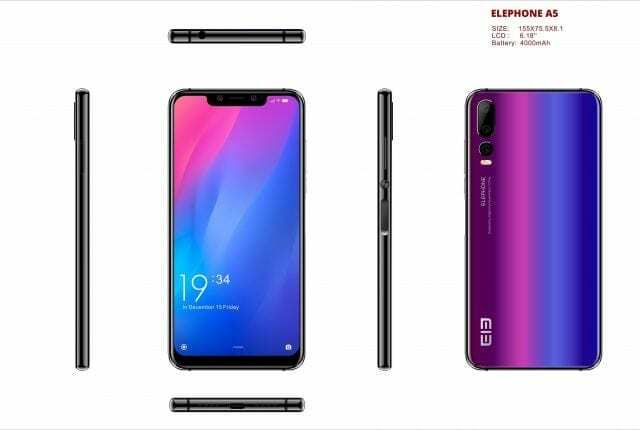 The Elephone A5 has a screen display size of 6.18 inches FHD+ with a resolution of 1080 x 2246 Pixels and 403 PPI density, while the Xiaomi Redmi Note 6 Pro has a screen size of 6.26-inches FHD+ with a resolution of 1080 x 2280 Pixels and 403 PPI density. Both phones have a screen display glass covering the 2.5D curved screen. The Elephone A5 has a triple rear cameras of 12MP+5MP+0.3MP with dual LED flash and a dual front-facing camera of 20MP + 2MP with Face unlock, while the Xiaomi Redmi Note 6 Pro has a dual rear cameras of 12 Megapixels + 5 Megapixels with dual LED flash and another dual front camera of 20 MP + 2 MP with Face Recognition. The Xiaomi Redmi Note 6 Pro will take better photos than the Elephone A5 because of it’s a brighter aperture and some internal features. The Elephone A5 has a MediaTek Helio P60 MT6771 chipset with an octa-core processor that clocked at a speed of 2.0 GHz, while the Xiaomi Redmi Note 6 Pro has a Qualcomm Snapdragon 636 chipset with an octa-core processor that runs at a speed of 1.8 GHz. Both phones have 8-core and they are powered by Android 8.1 Oreo operating system with support for dual SIMs and 4G data. 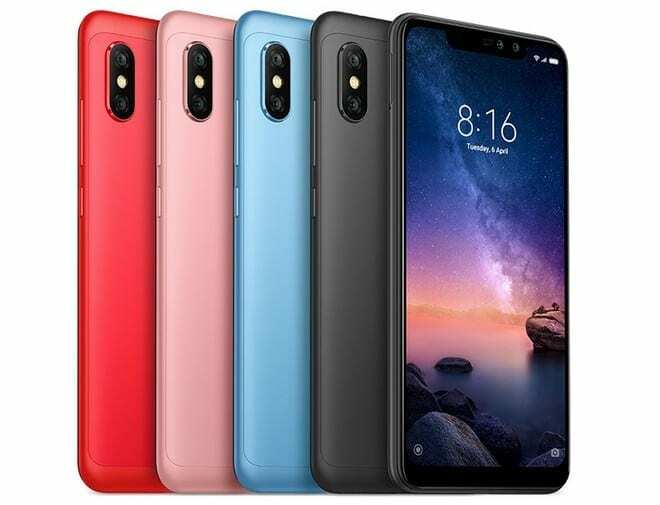 On the memory, the Elephone A5 has 4GB + 64GB of inbuilt storage, and another model with 6GB + 128GB of internal memory which is expandable, while the Xiaomi Redmi Note 6 Pro is shipped in 3GB + 32GB and 4GB + 64GB which you can also expand via micro SD card as well. The Elephone A5 and the Xioami Redmi Note 6 Pro has the same nonremovable battery capacity of 4000 mAh with fast charging technology. The Elephone A5 will sell at a price of $229, while the Xioami Redmi Note 6 Pro is selling at a price of $199. In real life, both phones will offer the same performance to users. The Elephone A5 only has an edge on the inbuilt memory and RAM, while the Xiaomi Redmi Note 6 Pro has a better camera and a more beautiful body design. If I were to choose, I will pick the Xioami Redmi Note 6 Pro. What about you?